With lots of whizz-bang action, this slick, flashy opening issue will appeal to lovers of James Bond movies as much as Marvel comics fans. S.H.I.E.L.D. 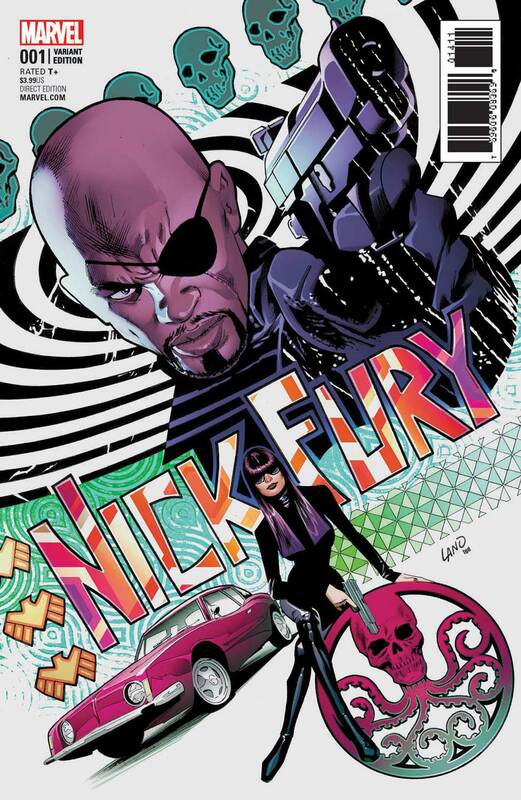 has many an uber-talented secret agent on its payroll, but the best of the bunch will always be Nick Fury. Whichever one of the various versions of the character you’re talking about, Fury is always at the top of the pile for a reason. 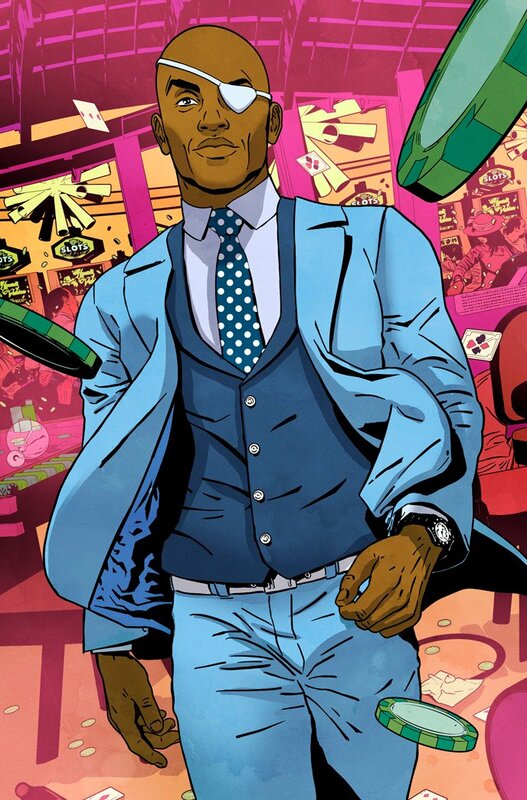 In this new series, we follow Nick Fury Jr. – the African-American son of the original who was created to better tie in with Samuel L. Jackson’s portrayal on the big screen – as he gets assigned on globe-trotting missions of derring-do. If you’re not already thinking of James Bond movies, then you will be as soon as you open this issue. 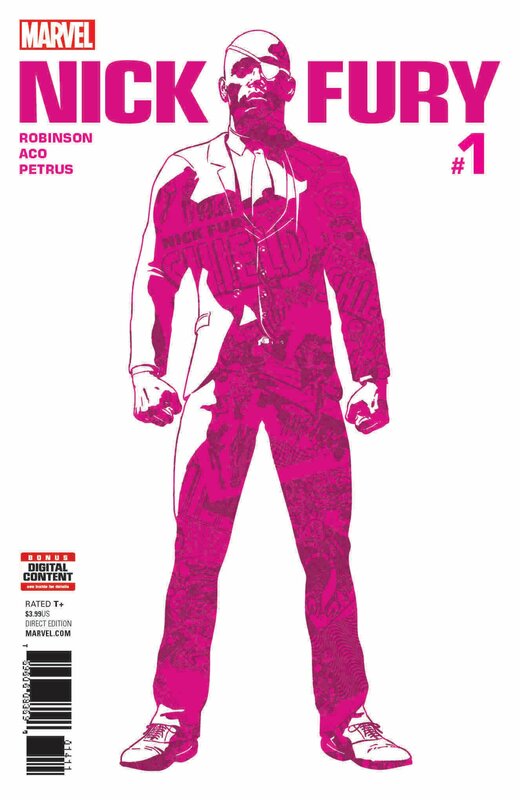 Nick Fury #1 couldn’t be more of a homage to the Bond franchise if it tried. The storyline is borrowed wholesale from Casino Royale, as it sees Fury dispatched to a European casino in order to shut down a dangerous terrorist money-man (in this case, he works for HYDRA, natch). Even the name of the villain, Auric Goodfellow, is a reference to famous Bond villain Auric Goldfinger. The extent to which the issue wears its inspirations on its sleeve makes for an enjoyable read, and it’s a lot of fun to spot the various Bondian nods and callbacks that are thrown in. After the first half of the issue revels in this kind of classic spy fiction scenario, things heat up for the second half as we get about twelve pages of flat-out action. This isn’t the kind of gritty fighting you get in a modern Daniel Craig Bond movie, though, but proper old-school outlandish set pieces. 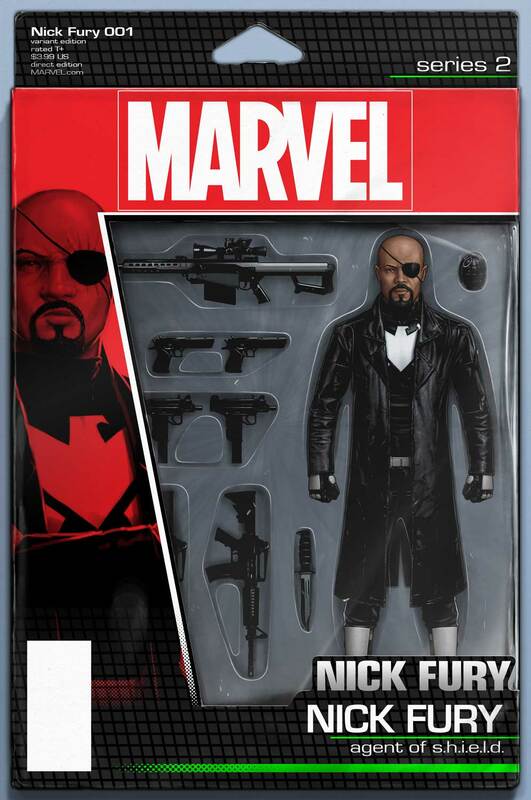 Fury is decked out with various gadgets that get him out tight spots, including a hi-tech wristwatch, a flying sports car and, best of all, a swanky new eyepatch with several handy features. With an action-orientated issue like this one, the artwork is all important and thankfully, Aco and Hugo Petrus, on penciller and inker duties respectively, deliver. 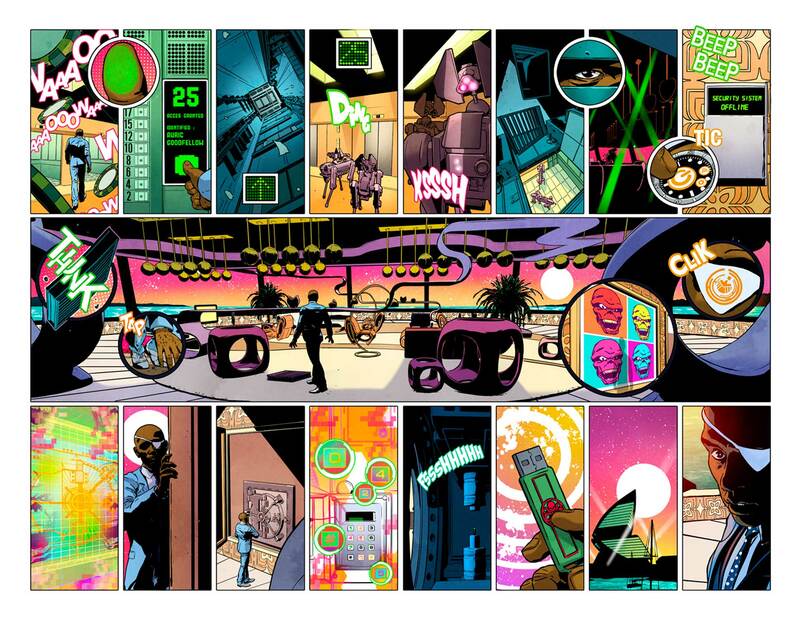 The issue is told almost exclusively through double-page spreads, which really helps give the comic a broad, bold scope. 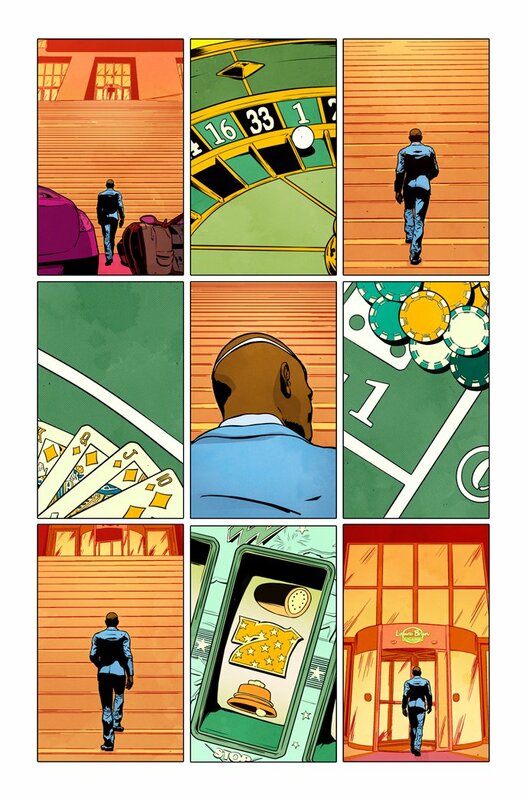 Our favourite splash page has to be the one where Fury enters the casino and every detail of the room is mapped out in a sprawling web of different images. It’s visually creative and eye-grabbing and it brilliantly gets across Fury’s quick-thinking and ingenuity. The art is also really brought to life by the bright, almost psychedelic colour scheme from Rachel Rosenberg. For example, the pink and yellow stars that erupt out of nowhere in the issue’s big, final explosion. If you’re a lover of spy fiction as much as Marvel comics, then this series is a must-read. It’s full of whizz-bang action, James Bond callbacks and just good clean fun. 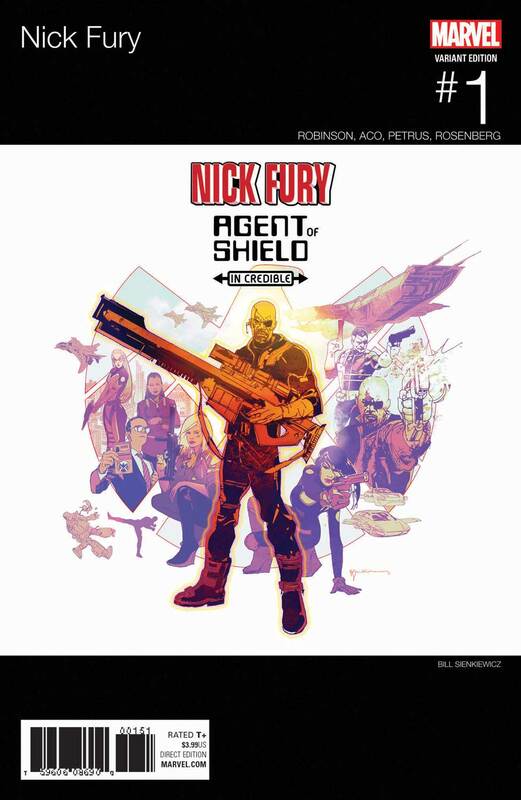 In future issues, we wouldn’t mind seeing Fury rely less on the gadgets and the back-up from S.H.I.E.L.D., so that he can prove his talent in the field on his own, but for this opener, which needed to establish the slick, flashy tone of the series, this issue does a great job.